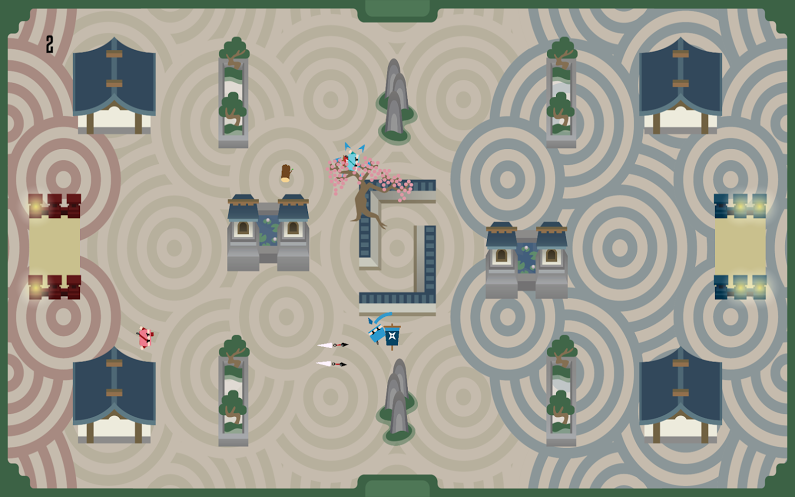 Slashdash is a 2v2 capture the flag game where you teleport, throw kunai and slash your foes to capture their flag three times! Slash your teammate who has the flag to help them dash. This game was prototyped in Modding Class with our Professor, Kevin Cancienne, developer of Home Free. We continued to work on it for Indiecade where we won Audience Choice Award. I left the team shortly after signing a deal with Microsoft so I can pursue a Masters in Fine Arts at the NYU Game Center. The rest of the team released the game on July 17, 2015.